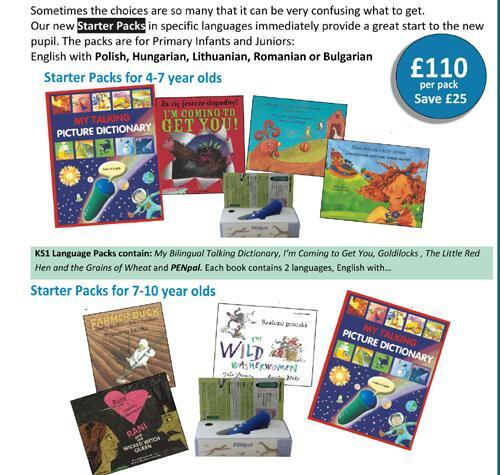 KS1 Gujrati starter pack provides an immediate way to help your pupils become better acquainted with English. If a story can first be heard, read and absorbed in a home language, it helps the pupil to understand the English. They can identify with the words better. Ideally suited for ages 4-7, the pack contains a picture dictionary, 3 stories (Goldilocks & the Three Bears, I'm Coming to Get You & Three Bill Goats Gruff) and a PENpal. The PENpal is ready to use and programmed to read all the books in the pack plus many more stories across the language range. So, if you buy an Albanian pack and wish to add more Albanian books later, then the PENpal is all ready to go.